If you want to read the full history of the Oriental breed click here. The Oriental bicolour first appeared in the 1970s in America. 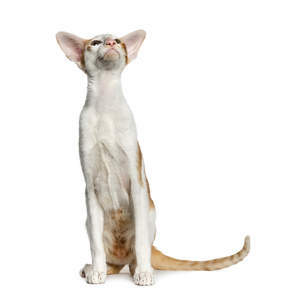 This variation was achieved by crossing Siamese with a Bicolour American Shorthair. The first bicolour Oriental in the UK arrived in 2004.